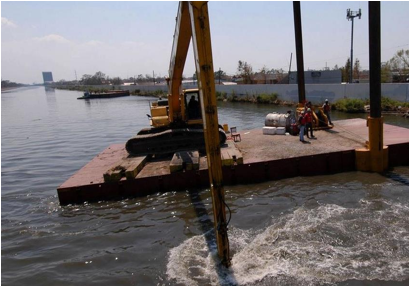 U.S. Sen. David Vitter announced that an agreement has been reached on an in-lieu fee program between the U.S. Army Corps of Engineers and the Louisiana Department of Natural Resources (DNR). The in-lieu fee program will help to offset losses by providing an alternative means of compensatory mitigation in addition to mitigation bank credits. Louisiana State Sen. Dan “Blade” Morrish, a proponent of coastal restoration and conservation issues, has been leading the efforts with DNR to come to this agreement. “Our coast and wetlands provide some of Louisiana’s most important resources and beautiful habitats, and it’s absolutely vital that we protect them,” Vitter said. “Our geography makes us vulnerable to natural disasters, but the coast also provides incredible opportunities for economic growth, which is why many of us in Louisiana live near them. This program will be a huge step towards restoring our coasts and wetlands and protecting Louisianians and our homes in a responsible, affordable way.” “The in-lieu fee program is an excellent opportunity for new and existing coastal business in Louisiana to expand and grow, while at the same time, using the program to fund, expand and grow coastal protection and restoration projects,” said Louisiana Sen. Dan “Blade” Morrish. Vitter met with Colonel Hansen and Sen. Morrish last September to expedite approval of the program, which had languished for almost two years over legal disagreements. Over the past month, Vitter aggressively pushed the Corps to work out any differences with DNR and produce a final agreement so that businesses and local governmental entities can utilize this program and spur economic development.